September 25-27 in Minneapolis, INST–INT presents three days of lectures and workshops with renowned creators of interactive art and media-rich experiences. Centered at the Walker Art Center, the international roster of conference speakers and guests will explore the intersection of art, technology and interaction. 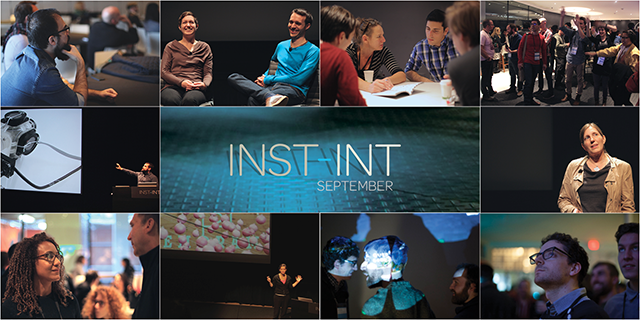 If you’re interested in installation art, interactive art, or responsive environments, INST–INT is a great opportunity to learn from and connect with some of the most fascinating people in the field today. View some of the INST-INT 2013 talks here. For more information, visit inst–int.com.